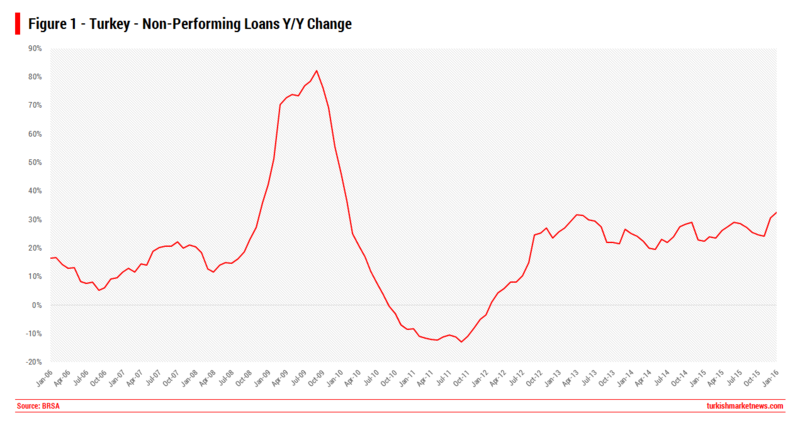 Bad loans in Turkey soared 3.6% m/m in January caused concerns rising around the asset quality in the financial sector. Even worse, annual change was 32.6% which was the highest figure recorded in six years. 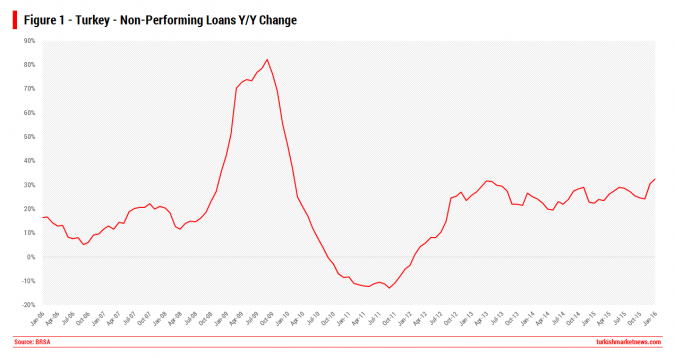 That being said, total NPLs in Turkish banking universe rose to TRY 49.2 billion which accounted for 3.18% of total loan portfolio of the sector with an increase of 9 basis points from December 2015. This was also the highest NPL ratio ever recorded since April 2011. Traditionally, a major asset quality deterioration is very rare event with mortgages and auto loans, but we have seen worse effects in other consumer loans, more specifically in credit cards. Consumer NPLs posted 36.4% y/y growth in January was a sign of the jobless rate remaining high leading a surge in insolvencies. 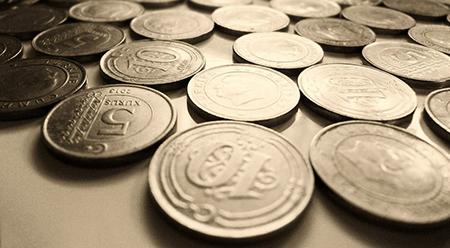 Credit cards are not the only source for pain ahead for Turkish financial institutions. Corporates struggling to pay their debts are also another hassle for Turkish lenders. 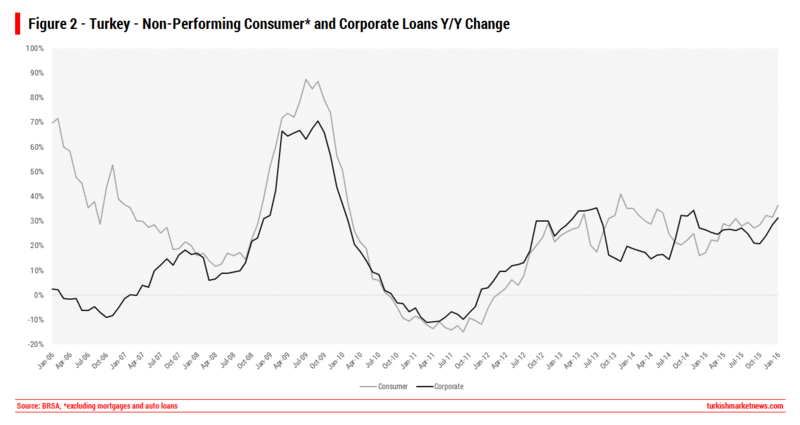 Bad corporate loans rose by 32.1% y/y reaching TRY 28.2 billion. 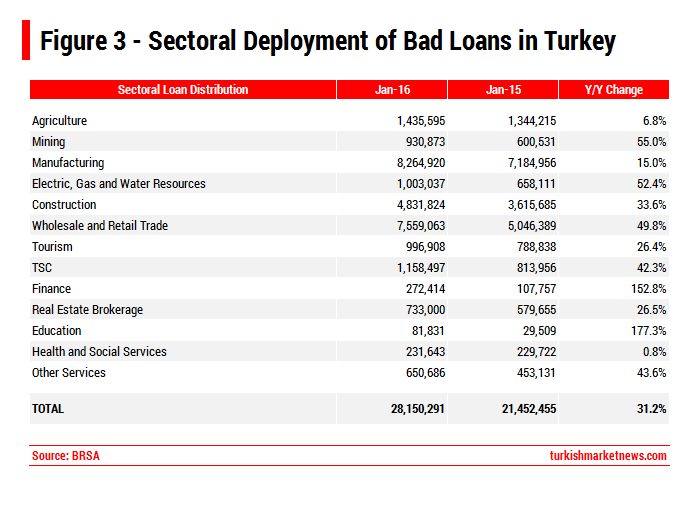 The following is the sectoral data for bad loans in Turkey. 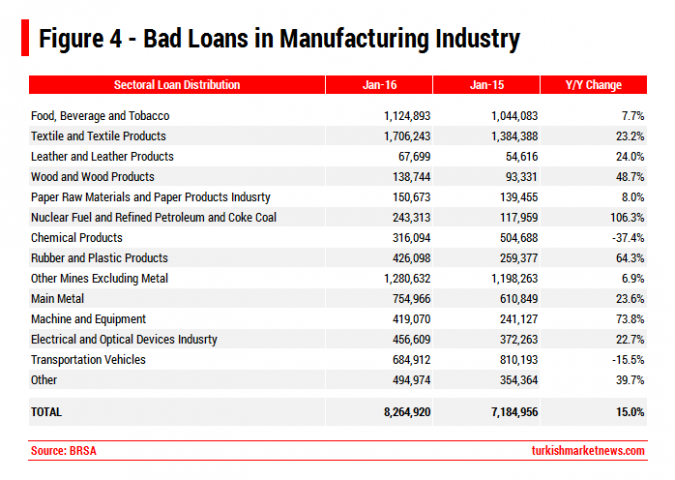 It is important to note that some key sectors have contributed to the increase in bad loans. Mining and energy sectors unfortunately posted higher than 50% growth in troubled loans. Considering mining industry mostly operating as a supply side to energy production, thing might have gone terrible bad for the industry (see our post concerning energy loans here). The debt performance of wholesale and retail trade seemed very disturbing either. Also, TSC (transportation, storage and communication) surprised to the downside. Going forward, bad loans in tourism should be expected to soar give the dramatic decrease in the number of tourists vising Turkey. Previous ArticleTurkish Banks: What Went Wrong?